Oh No! Jaime Ann: Oh No! I thought I had my ally for all things girly, but it appears that Bill is trying to pull her to the dark side! 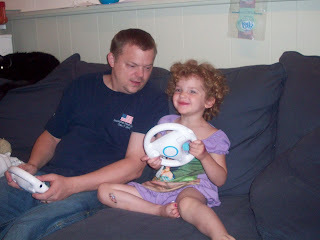 I've already lost my husband to Wii--not my daughter too! It really is fun and she can be Peach. :) McKenna has a Princess Wii game -- all you do is try on different dresses, jewelry and hairstyles and then walk around the castle. Ha! I've heard that the Wii is pretty fun. I have yet to play it but I'd like to. You need to come over to the dark side too, Jaime. Wii is FUN! Especially with a group. Were they playing mariokart in this picture? LOVE that game!!! 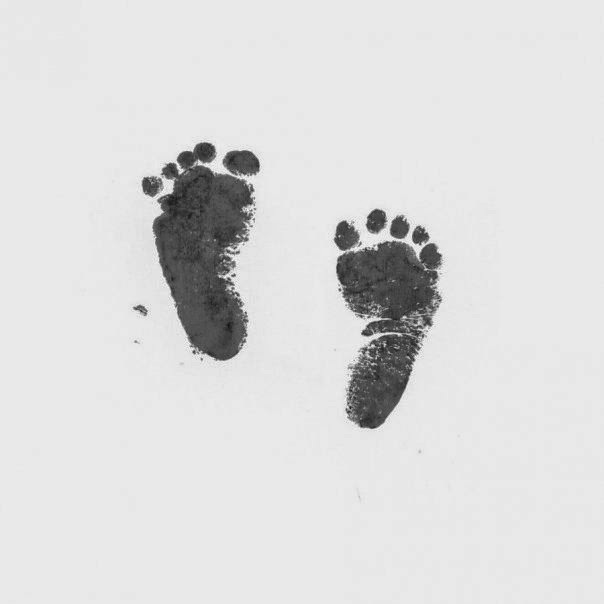 Where are you going, my little one?